Bookshops and libraries are almost always on my visit list when I go traveling. Sometimes, I unintentionally find them when visiting a place. Just like what happened when I finished visiting Topkapi Palace and walking around Gülhane Park. My eyes suddenly caught a banner on the fence of an antique building with “Literature Museum and Library” written on it. I just found a literary oasis in the middle of a beautiful park! 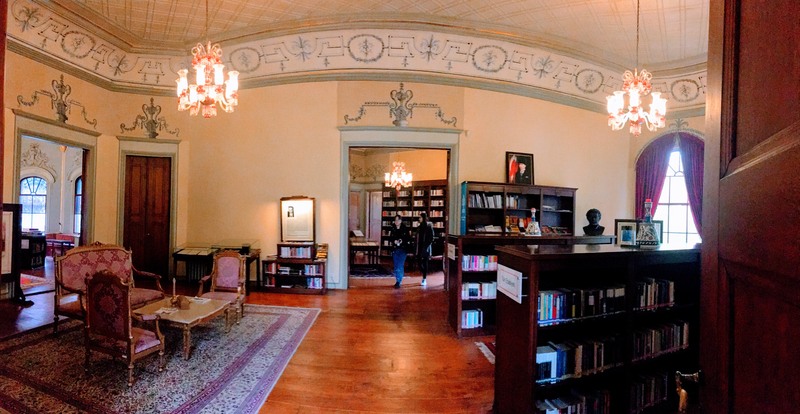 Ahmet Hamdi Tanpinar Literature Museum Library opened on November 12, 2011. It is located inside the park. It was named after a Turkish novelist, Ahmet Hamdi Tanpinar, who was considered as one of the most important people in Turkish modern literature. He grew up in the Ottoman Era and witnessed the country’s westernization process under the reign of Mustafa Kemal Ataturk, founder of Turkey and also its first president. Tanpinar is known for his two novels Huzur (Peace of Mind, 1949) and Saatleri Ayarlama Enstitüsü (The Time Regulation Institute, 1961). The later one, considered as one of the best Turkish literary works, interprets the Westernization process of Turkey in the early Republican Era. Stars can talk to each other, people cannot talk to other people. No entrance fee is required to enter the museum. However, I was asked to put all my belongings inside a deposit box. The only thing that you can carry with you is either a mobile phone (or a camera) and the deposit box key. Photography is allowed here as long as flash is not used. The library is beautiful. It’s not big and there are not many books there, but the atmosphere is just perfect. 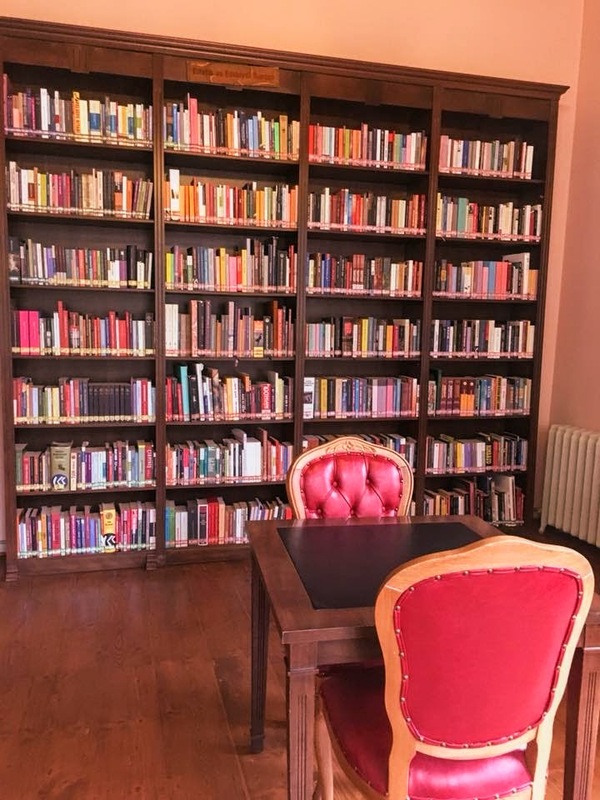 There is a reading room with bookshelves full of novels and books by famous Turkish writers such as Orhan Pamuk, Yahya Kemal, and Ahmet Hamdi Tanpinar himself. The books that I saw were written in Turkish, I didn’t see any books in English. There is a cafe downstairs where literary works are exhibited and discussed, but on that day the access was closed so I could not see how it looks like. 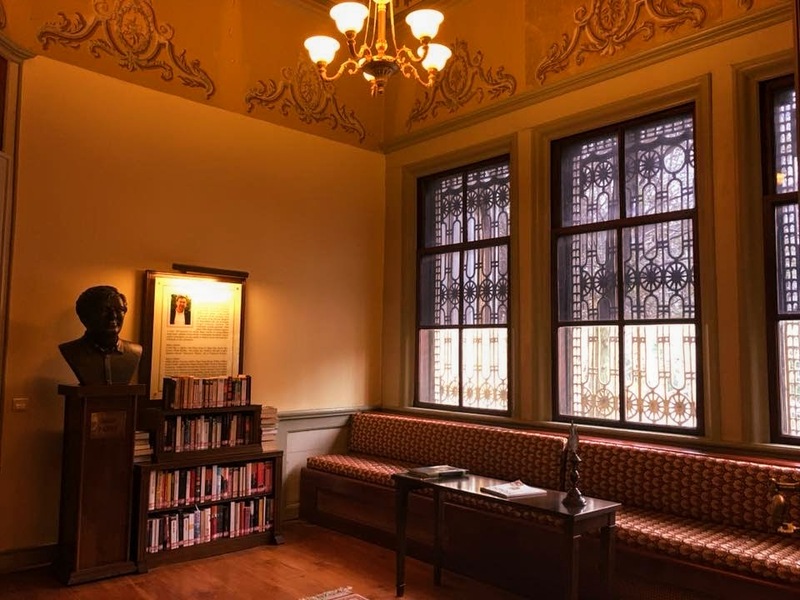 I really like the reading room, it was so quiet and peaceful. I can imagine myself sitting here for hours, either reading or writing. The view from the windows is amazing as it’s facing the park. It would look so much nicer in the summer when the flowers bloom and the grass is greener. 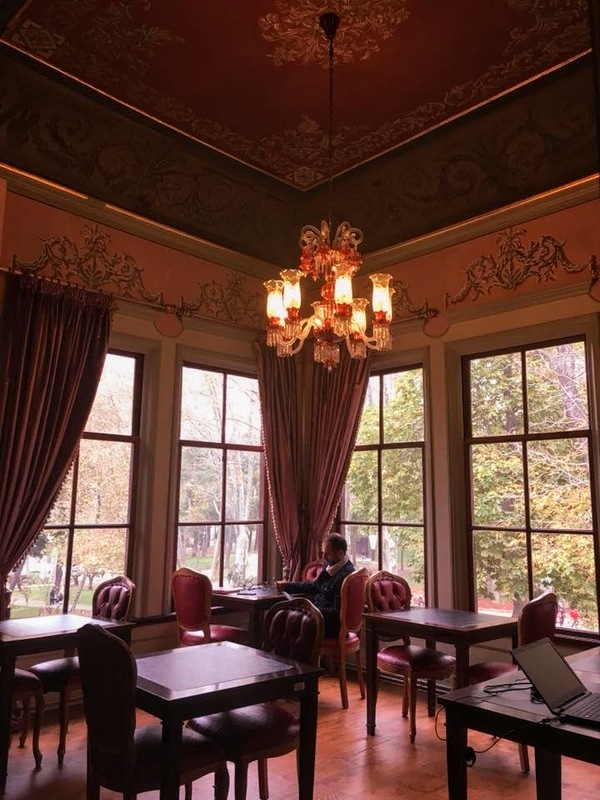 If you like libraries or just look for a place to sit down and dig some inspirations out of your head, this is the kind of place you need to go when you’re in Istanbul. I wish I could stay a little bit longer and read a book or two..